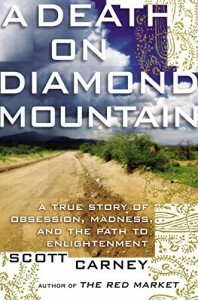 Carney's Death on Diamond Mountain covers far more ground than the death of Ian Thorson; it's a sweeping look at Western adoption (often cafeteria style) of some extreme Eastern spiritual practices without concern for the potential dangers. Scott Carney has done a fine job of researching and telling the story of a spiritual quest gone bad. In many ways, this story has the feel of Krakauer's Into the Wild -- a book about Christopher McCandless' naive (and ultimately fatal) pursuit of wilderness. After years of meditation and divine pursuit, 38 year-old Ian Thorson retreats to a cave, and in the presence of his wife (who was declared a Goddess by her former husband), essentially meditates himself to death. Death on Diamond Mountain reads a lot like one of Krakauer's investigative works; there is no shortage of effective research and reporting, yet I never felt like I was reading filler. For that, Carney's to be congratulated -- with the exception of Ian Thorson's mother, almost no one involved in Thorson's death wants to speak publicly about it. The book winds through a narrative that often feels like fiction. 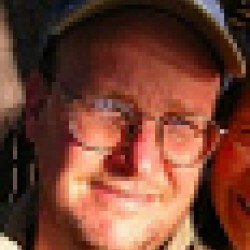 The organization at the center of Thorson's death -- Diamond Mountain University -- offers up a laundry list of misconduct and suspect behavior, and while Carney never goes so far to label the organization a "cult," I'd have little hesitation labeling it as such. Diamond Mountain's charismatic leader -- a person accepted by followers as a near god -- offers a very public front, yet the behind-the-scenes truth is very different. Allegations of financial impropriety, sexual escapades, conspiracy and ultimately a power play for control of the organization all contribute to Thorson's death. My only real complaint is the paucity of detail about Thorson's final retreat and death, but given the reluctance of his wife and friends to discuss the tragedy, it's not surprising. (You can't help but wonder why Thorson's wife waited so long before summoning help). Carney looks hard at the adoption of extreme Eastern spiritual practices (often in search of divine revelations), and how those practices (like extreme forms of meditation and sensory denial) can affect the brains of practitioners -- sometime to the point of death. This is a good, deeply researched book.